Hidden around DC, secretly placed in strategic, calculated locales are small, weatherproof boxes containing logbooks and stamps; only the dedicated group know of their existence and they are constantly trying to follow a trail of secret clues to uncover them. While this may sound like the latest Spy Museum game or a CIA operation, it’s actually hobby called letterboxing and its covertly going on right under our noses in our beloved city. Here’s how it works. 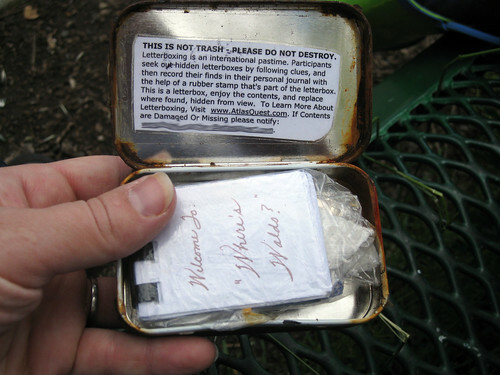 Originating, across the pond, in Dartmoor, England, letterboxing, like its hi-tech sibling geocaching, is a combination of hiking, puzzle solving, treasure hunting and thrill seeking. In this game, “placers” hide small waterproof containers in interesting locales, e.g. 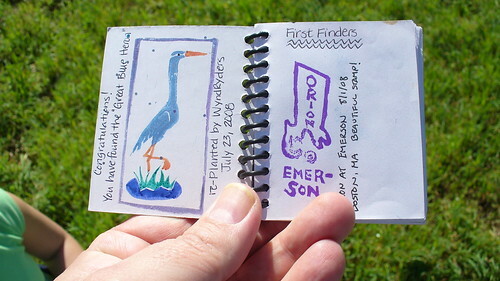 along the Capital Crescent Trail, near the Jefferson Memorial, behind a loose Eastern Market brick, etc., and then leave small clues to its whereabouts on websites, or in letterboxing newsletters or through word of mouth. Within each box is a logbook and a stamp that is particular and unique to that letterbox. As a treasurer seeker, you must carry your own logbook, inkpad and procure (or make) your own personalized stamp that you’ll use both to record your discovery of the box by placing your stamp in the letterbox’s logbook and stamping the letterbox’s stamp in your logbook. You then replace the letterbox in its hiding place for other seekers to discover it. While I could tell you some of the locations of the DC letterboxes but that would take the fun, intrigue and challenge out of the game. I can say from personal knowledge that there are a good amount of letterboxes scattered around the city, some hard to find, some easy to find, and they’re just waiting to be discovered. However, please, please, please remember that discretion and respect are tenets of this hobby. Even this very morning, I followed a series of clues to a letterbox hidden in Georgetown, and when I got to its hiding spot, aside from my lurking creeping out some elderly speed walkers, I found that the letterbox was gone. Epic buzz kill and downer. When letterboxing keep in mind that seekers and placers come from all over the world to hide and find these treasures, and letterboxing helps them explore DC’s heritage and understand how special this city is. Before venturing out to find DC area letterboxes, best to read up on the rules, etiquette and insider terminology of this hobby–don’t want you heading out there unprepared. If you want to learn more about letterboxing, a good place to start is The Letter Boxer’s Companion. 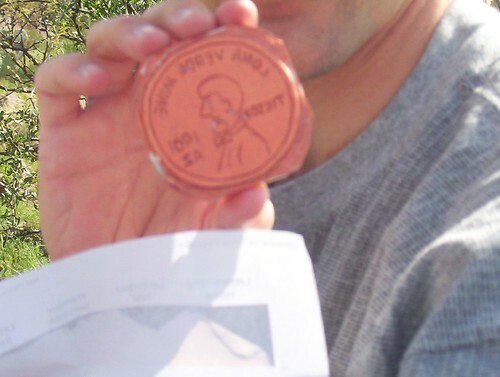 For solid letterboxing clues and tips check out Letterboxing North America or Atlas Quest. Also, as I was stumped this morning with my own letterboxing adventure, I’ve decided to hide a WeLoveDC letterbox somewhere within the confines of DC limits. I’ve begun working on carving the WeLoveDC stamp and finding the appropriate hiding spot. Good luck hunting! Yeah! I love that I’ve gotten you into letterboxing!